When I first saw Caroline Hirons review the Hylamide SubQ Anti-Age Serum* it certainly caught my attention. A highly active, next generation type serum at a reasonable price point? Ah, yes please! 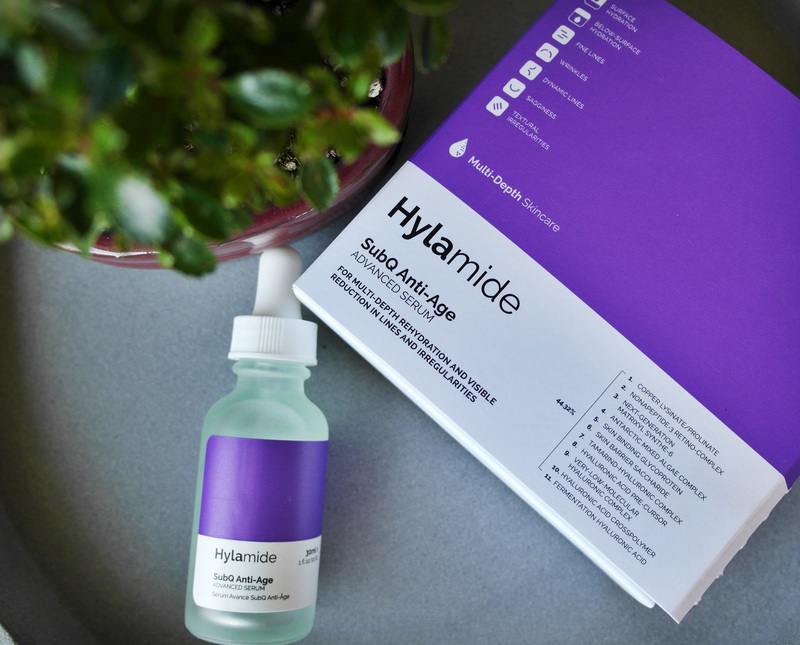 Hylamide SubQ Anti-Age Serum sat on my wishlist/to-buy list for a few months until Deciem very kindly offered to send me a bottle of their advanced serum to trial. After 4 weeks of pretty consistent use I am happy to report the results are in. And they are good! Hylamide SubQ Anti-Age Serum is an advanced serum containing next-generation peptides and 5 different types of hyaluronic to attack skin issues such as hydration (below and at the surface), fine lines, wrinkles, skin sagginess and textural issues. There are a number of complex ingredients contained in this little bottle and I’m not going to go all sciencey (I’d be crap at that!) but if you’d like to read about the science behind each of them please click here as Deciem will do a far better job of explaining than I could ever do. However, the ingredient that most intrigued me was ‘Nonapeptide-3 Retino-Complex’ as this is touted as ‘promoting better visible anti-aging results than Retinol with less irritation’. Now, as someone who is quite the Retinol convert of late, I was very very skeptical of this claim in particular. If you are someone who needs an alternative to traditional retinol, could this be your girl? Before I get into my results from using this serum I think I should give you a quick background of my skin and what my concerns are. To start, I’d like to make note that I am 34, have combination skin that hasn’t been all that happy this past winter and I’ve experience a lot of dryness in areas. My main areas of concern are fine lines, some redness and also some clearing hormonal spots under the jawline. The product comes packaged in a box and the serum is encapsulated in a glass bottle with a dropper. From some of the reviews I’ve read not everyone loves this type of packaging but I have no issue with it. The dropper system works perfectly fine for me, although any product that comes in an airtight container is more preferable. The consistency of the serum is quite watery and sinks into the skin immediately upon application. There is basically no scent to this product at all. During the past 4 weeks or so of using Hylamide SubQ Anti-Age Serum I have shunned all my Retinols and really given this serum a good test run. For the first 2 weeks I used this serum under my moisturiser each night and in the second 2 weeks I have used it pretty consistently of an evening but not exclusively. I still however, have not added any Retinols back in to my skincare routine. And does my skin miss retinol? Well, no, not really. The intense hydration I feel this product gives me is more than enough to feel like it’s plumping out my fine lines. My face feels smooth & pores seem to look a little less visible (they’re still there though obvs!) I don’t really have saggy skin to speak of, so I cannot really comment on that claim. Overall, I have to say I’ve been very pleasantly surprised by this serum. 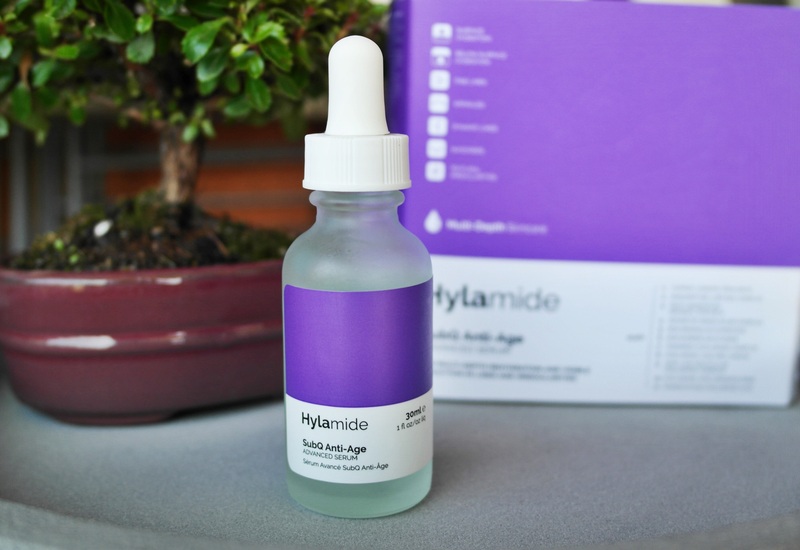 If you are someone who has hydration or fine line concerns or you are someone who has tried traditional retinols but you’re skin doesn’t agree with them for one reason or another, I would wholeheartedly encourage you to try the Hylamide SubQ Anti-Age Serum. Hylamide SubQ Anti-Age Serum is available to buy globally here and here and in Australia it’s available with super quick postage and a Tim Tam at Adore Beauty. Next on the list to try (when I finish up some other eye products I have open) is the Hylamide SubQ Eyes. I’ve heard great things! Next Post Born This Way?